Two female police officers were killed in Belgium today when a man stabbed them, took their guns and shot them in what authorities have since deemed a terror attack. Authorities said police were specifically targeted by the gunman. Add Belgium as an interest to stay up to date on the latest Belgium news, video, and analysis from ABC News. 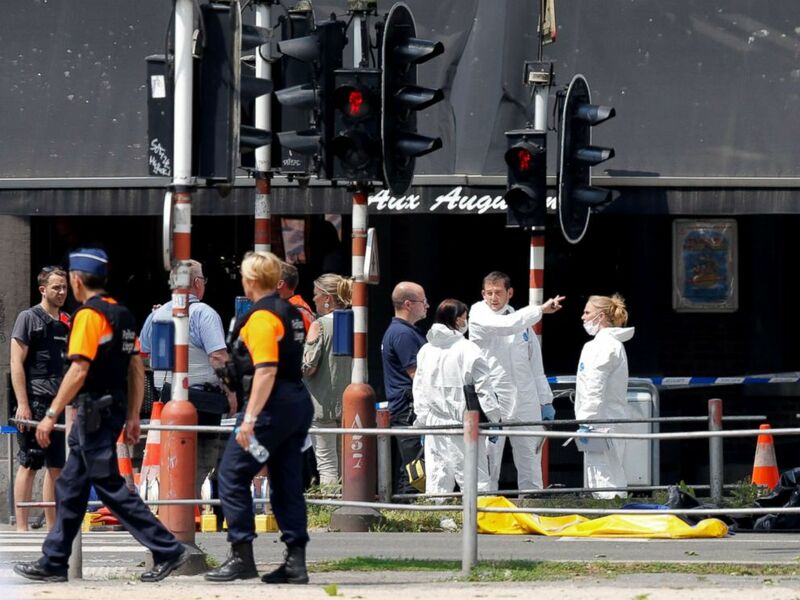 The third victim was a 22-year-old university student in Liege, about 60 miles east of Brussels, authorities said. He was a passenger in a car fired on by the suspect. Police later shot and killed the gunman, who first fled into a nearby college and took a female hostage. No students were harmed but four police officers were injured. Three are being treated at a hospital. Police officers are seen on the scene of a shooting in Liege, Belgium, May 29, 2018. 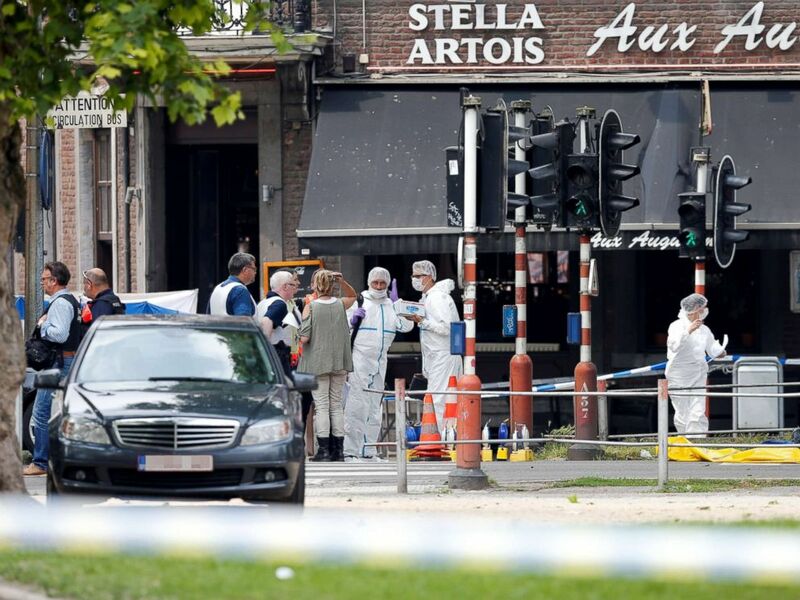 Forensics experts are seen on the scene of a shooting in Liege, Belgium, May 29, 2018. The two officers killed in the attack were Soraya Belkacemi and Lucile Garcia. Belkacemi, 45, leaves behind 13-year-old twins. Garcia, 53, had a 25-year-old son. 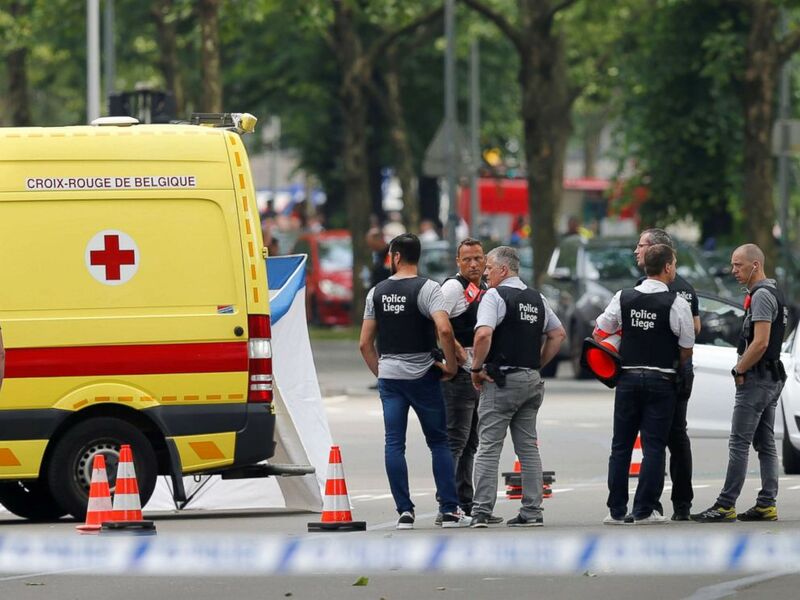 Police identified the gunman as Benjamin Herman, a 36-year-old Belgian native who was allegedly radicalized in prison. He was expected to return to prison today and his mother's home is currently being searched, police said. Herman allegedly approached the officers from behind, stabbed them multiple times and took their guns, officials said. Witnesses on the scene told local broadcaster RTBF they were alerted to the incident by the sound of gunfire and panicked crowds. “I was on a bus when we all had to get off, and were told not to proceed because it was dangerous. The police were tense and shouting at us to hide,” one witness said. A teacher at the college spoke to Belgian outlet La Libre, saying, “He was behind the doors and he was holding the cleaning lady. When he saw me he pretended to shoot in my direction but he did not really have the space." "We managed to evacuate all the students from the back, we were lucky to have that possibility,” the teacher added. The Belgium federal prosecutor's office told ABC news earlier today it was taking over the investigation from a local Liege prosecutor because "there are elements that make us believe that it was a terror attack." Belgium remains on high alert following a 2016 attack that killed 32. 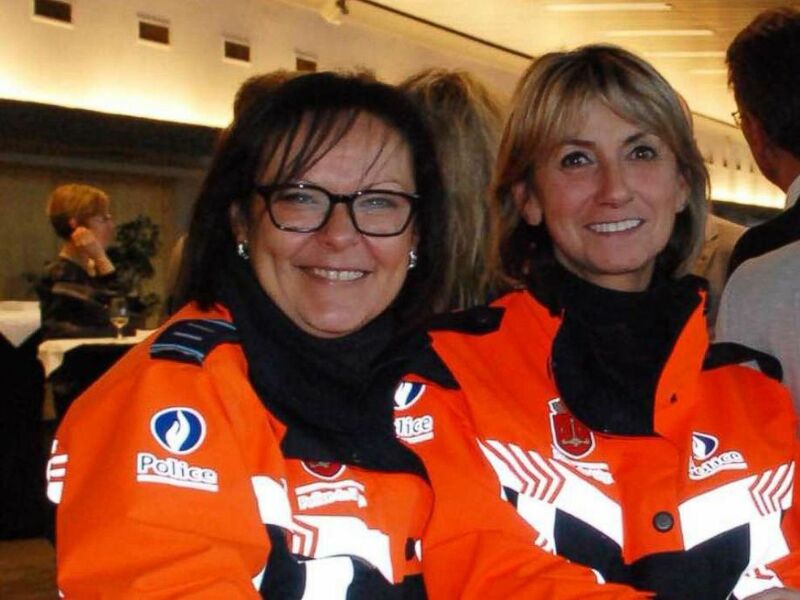 Two police officers, Soraya Belkacemi, 45, and Lucile Garcia, 53, were killed in an attack in Liege, Belgium, May 29, 2018. "Our thoughts are with the victims of this horrible act. We are currently working on determining what happened precisely," the nation's interior minister said on Twitter. French President Emmanuel Macron addressed the shooting shortly after the attack. "We learned what happened this morning in Belgium during our meeting and the awful attack which seems to be treated as a terror attack by the public prosecutor's office," he said. "It is probably too early to make any comments but I wanted here to give all the condolences and solidarity of the people of France towards our Belgian neighbors." Nos pensées sont avec les victimes de cet acte horrible. Nous sommes en train d’établir un aperçu de ce qui c’est déroulé exactement. Police officers and forensics experts are seen on the scene of a shooting in Liege, Belgium, May 29, 2018.